Below, we’ve outlined GM’s plans for its GMC brand for the next three model years in North America. Without further ado, enjoy the guide and share your thoughts (and otherwise) in the comments! Please note that dates are in model years, which tend to precede calendar years by approximately a year. For instance, a vehicle may first debut in 2012 and then be brought to market later the same year as a 2013. 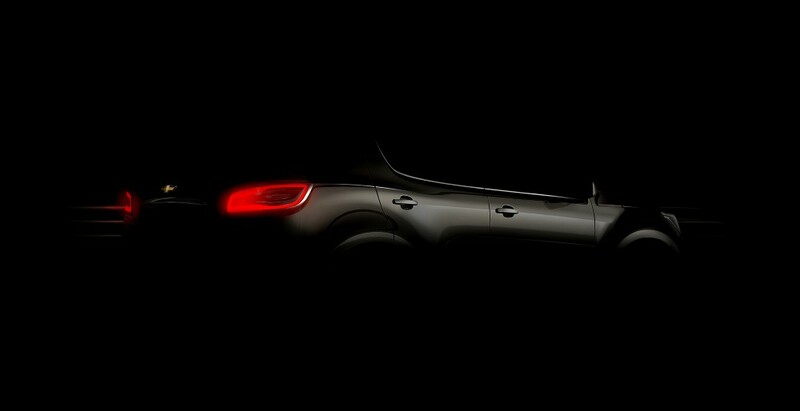 2013 ACADIA REFRESH CANYON REPLACEMENT DEBUT? TERRAIN EASSIST? MIDSIZE SUV DEBUT? Canyon: production of the present-generation midsize truck will cease by mid-2012 when the Shreveport, LA plant is shut down. 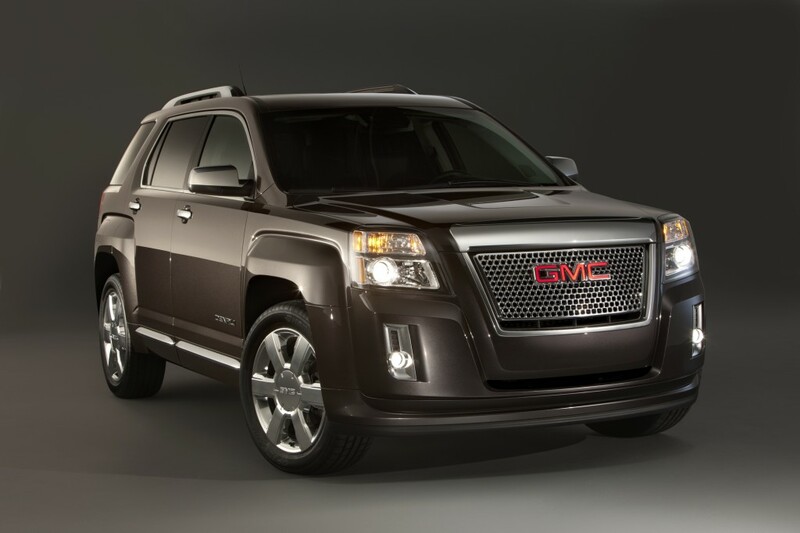 Terrain Denali: coming to market in 2012 for the 2013 model year, the range-topping Denali version of the Terrain will don enough chrome to make a rapper jealous, as well as high-flow dampers that will result in a smoother ride. The 3.6 liter LFX will finally make its way to the compact/midsize CUV, replacing the anemic 3.0 LF1 across the Terrain range. Granite Debut: The Granite has been cancelled — and we think it’s better that way. having been greelit for production, the subcompact crossover will bow in 2012 for the 2013 model year. The Delta II-based model will share its platform with the Cruze and Verano, although it will ride on a shortened wheelbase. 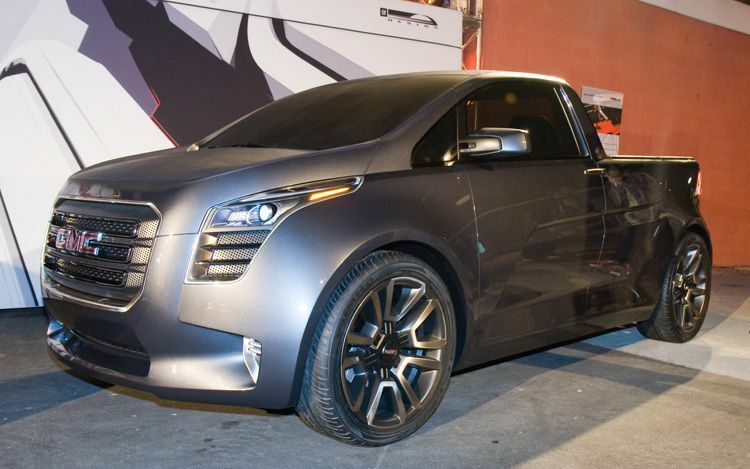 Staying true to the concept, it will also have Dutch doors and have a pickup variant that was shown as the Granite CPU. The concept was powered by a 1.4 liter turbocharged Ecotec engine mated to a six-speed manual transmission — the same powertrain as in the Chevy Cruze. The production version may get the 2.0 liter turbocharged Ecotec or GM’s new 2.5 liter naturally aspirated Ecotec. Acadia Freshening: GMC’s full-sized three-row crossover will receive a refresh for the 2013 model year. 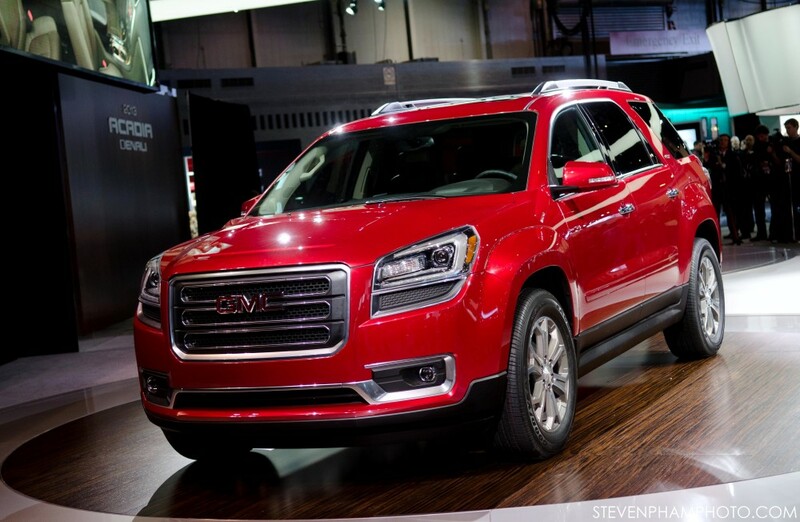 The 2013 Acadia and Acadia Denali will include new front and rear fascias, the industry’s first front center airbag, and the addition of IntelliLink, among other enhancements. 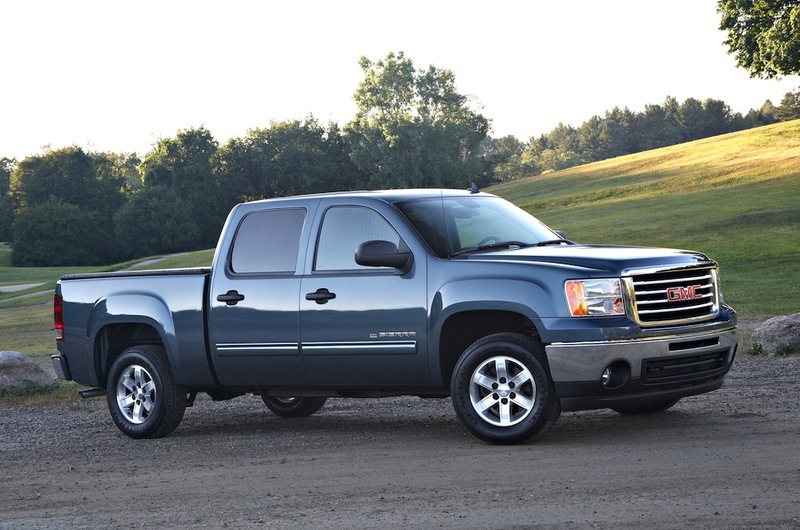 Sierra 1500 Redesign & Re-Engineer: expected in the second half of 2013 for the 2014 model year, the next-generation Sierra will utilize an updated architecture called K2XG and will sport significant powertrain improvements to increase fuel economy while not sacrificing capability. A six cylinder turbo and optional 8-speed transmission are likely, but we wouldn’t discount a naturally-aspirated six-banger under the hood as the base engine. The styling will be greatly differentiated from the Silverado platform mate and a number of GMC-exclusive convenience features are also in the cards. According to sources, “interesting trim levels” are being discussed that have never been seen before. A specialty off-road-oriented variant, along the lines of the Sierra All-Terrain HD Concept, will come a year or two after the debut of the “regular” Sierra. Yukon Redesign & Re-Engineer: the truck-based full sized SUVs will bow in 2013 as 2014 model year vehicles. The Yukon and larger Yukon XL will ride on an updated platform called K2UG and share more sheet metal with the Sierra pickup truck than the current generation. More importantly, the styling will have a high degree of differentiation compared to the Tahoe/Suburban — the Yukon’s platform mates. In an effort to improve fuel economy in a wide range of driving scenarios, an eight-speed transmission will be utilized and GM’s four-mode hybrid system will replace the current two-mode setup in the optional Hybrid trim. Canyon: even though GM has (finally) confirmed that the next-generation Chevy Colorado will make its way to the States, it has not announced any plans for a GMC version. As such it’s unclear whether the new truck will don both the Chevy Colorado and GMC Canyon nameplates, but we think that GMC will get a version of the truck for the 2014 model year. For the sanity of truck fans all over North America, we hope that the Chevy and GMC midsizers will be differentiated by more than a simple badge engineering job. Engines in the international-market Colorado include the 2.5 and 2.8 liter Duramax turbo diesels making as much as 346 lb.-ft. of torque (in the 2.8 model). Furthermore, new CAFE requirements will most likely result in the discontinuation of the range of outdated powertrains in the current model, including the large yet not very power-dense fours, fives, and eights. 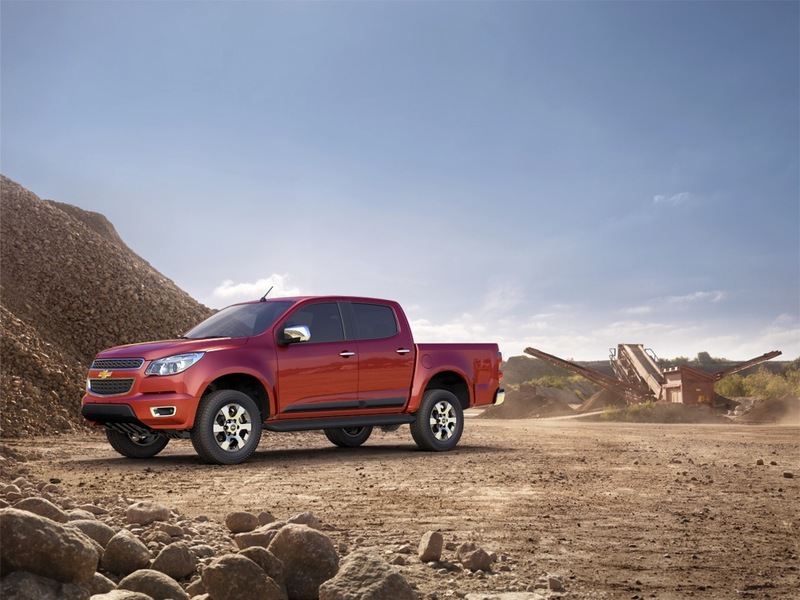 Midsize SUV Debut: expected for the 2013 model year, the new vehicle will be based on GM’s global midsize SUV platform shared with the recently-debuted Chevrolet Colorado. This vehicle, whose name is unknown at time of publication, will be GMC’s version of the Chevy TrailBlazer but will be heavily differentiated, containing squared styling to the Blazer’s more rounded shape. Engine choices are currently unknown, but the global Chevy Colorado will utilize GM’s new turbo-diesel four cylinders, available in 2.5 and 2.8 liter displacements. It’s unlikely that GM will offer turbodiesels on family- or personal-use SUV, so the 3.0 liter LF1 or 3.6 liter LFX are the most likely contenders to power the vehicle. 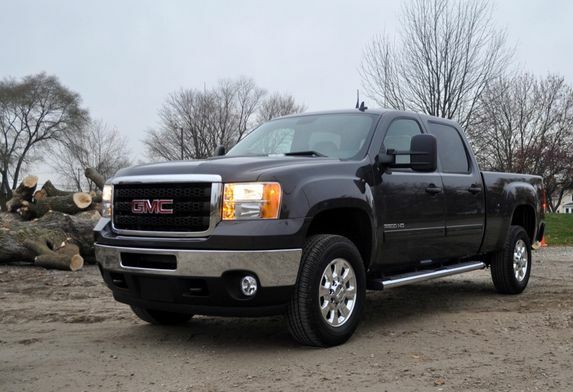 Sierra Heavy Duty: the best-in-class heavy duty truck was restyled and re-engineered for the 2011 model year. 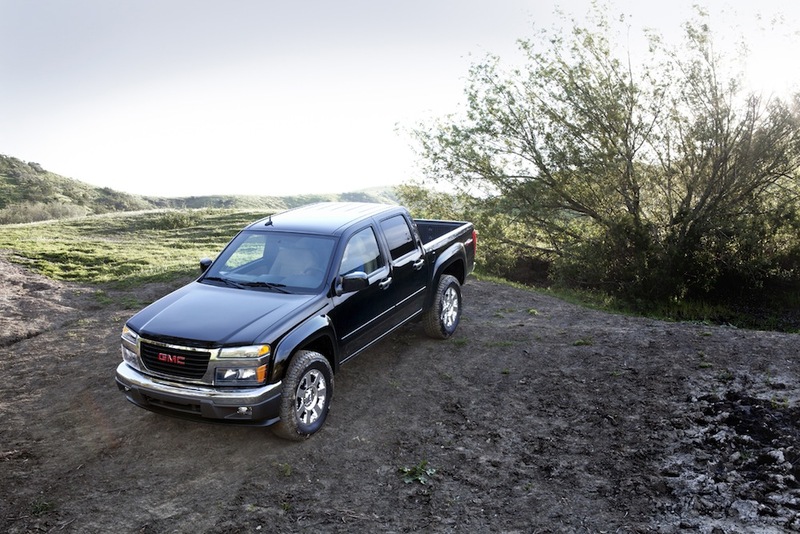 Expect updates to the heavy duty to follow the release of the all-new Sierra 1500 by a year or two, due for the 2014 or 2015 model year. Details are scarce, but a new version of the Duramax Diesel is in the works. 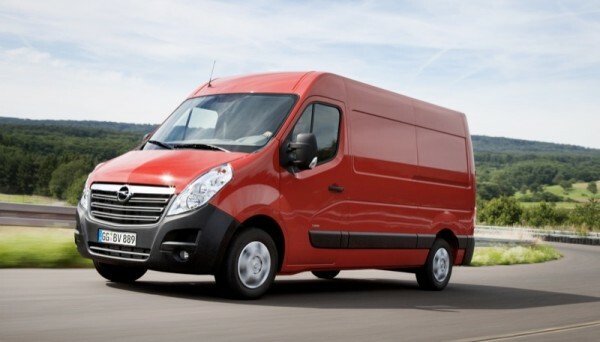 Savana: a new Savana full-size van will come several years later (timing unknown). There have been rumblings of GM modernizing the traditional classic old vans by moving them to a single global vehicle based on the Opel Movano, just as Ford is doing with the T-Series and its Transit line in Europe. hi,,,well i’d like to now if GM is thinking of following in dodge footsteps for a dual exaust system for the GMC or the CHEVY version on the full size trucks?????? We’re too far away from launch to tell. Rest assured, the trucks will be as competitive as ever. From what we’ve heard, they’ll be the most competitive trucks on the market. I thought that we’ll see new fullsize trucks in a year. No prediction MY for the van? you mean it’ll be based off of Movano (not Meriva) ? Yes, the Movano — not the Meriva — fixed! The trucks a bit further away. Most likely Q2 or Q3 2012. Won’t be as early as Q1. Wait so will the Yukon XL and Suburban live on? So far as we know, yes. Suburban will live on, Tahoe is what GM was debating about. Hasn’t the mid-size SUV been shot down already for the US, at least for 2013? Also, no where else have I read that the Granite is coming so soon. I’m doubting some of the info here. It has been *publicly* stated that the midsizer is not coming. However, the decision has not yet been made. We strongly believe that it will end up coming to NA. Regarding the Granite, the timeline is accurate. Feel free to ask anyone with knowledge of the matter. I hope you’re right, I would like to see both sooner rather than later. If GM shortens the Acadia and it’s sisters they will kill them. I’m on my second Enclave and bought it specifically over the competition for the room. I’m sure most of the Acadias were sold for the same reason. That platform is the best crossover if you need lots of room. My friend has a Honda Pilot and has almost zero room behind the third row when it is used. PLEASE GM DON’T MESS IT UP. I want the new intelilink system or whatever they’re going to call it and the newer v6 and I’ll trade. Make it smaller and I’ll start looking elsewhere. I’d agree!! But I was also hoping that they would add more padding on the second row and third row for the Lambdas and also make reclining second row seats. Joe, so wait what; you own an Enclave (which they are not going to shorten) but if they change the Acadia you will leave GM for other vehicles… How does this add up. Anyway there are other options outside of the Acadia on that platform, try a traverse or buy another Enclave good grief. The Acadia, Enclave and Traverse share the base platform. If they change the Acadia they will be changing all three. I haven’t seen a similar article about the Enclave, but why would GM change the base platform on one and not the others? I think the Enclave and Traverse are staying on the same platform but only Acadia changes to Theta. The Enclave, Traverse and new Caddy will share the same platform, The Acadia will be on a stretched Theta using the Caddy SRX. I know sometimes I just scan the articles and don’t pick up all the details, sorry for the way I frased the earlier post. Anything on 4500 or 5500 Sierra’s? Medium duty news? Any ideas on engine size or displacement in the 2014 Yukon Denali? ri think it is time to put the old 350 to bed and get the engineers busy finding a replacement that is competitive with todays market. with todays fuel prices we deserve somthing better. 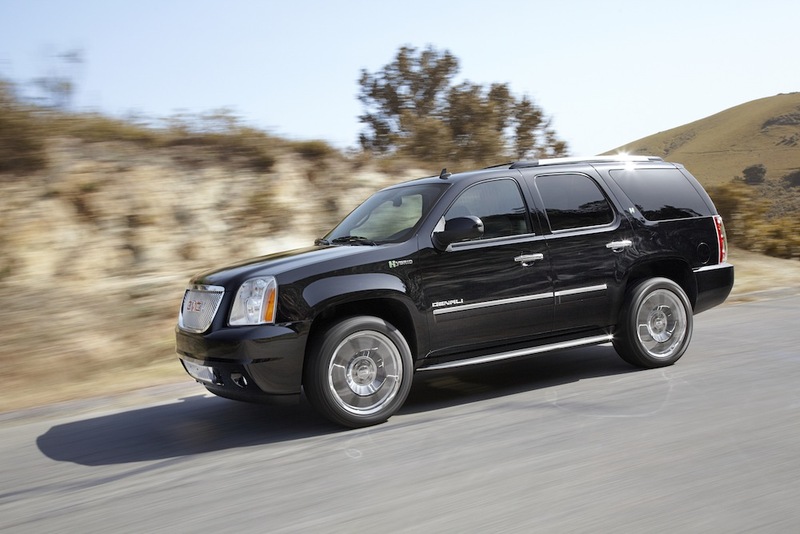 if you came up with a new fuel efficent engine you could not make the yukon’s fast enough. people love the vehicle but 17 mpg just isn’t making it. Why dont they make it look like a smaller version of the newer silverados? This is america, men here like trucks that look mean and badass. Make what look like it? Oh. Well, I personally love the way the new Colorado looks… and I’d take one over the current-gen Silverado any day. i also like the new colorado and want a little d-max in mine but probably wont happen. although i also love the current gen silvy alot amd i think they still look better then thier competition (except in the duallies there the ram might just be more handsome) and i think when they show off the redesign itll shock the truck world just like they did in ’88 and ’07 and theyll be wildly popular. if you read any of those custom truck magazines youll notice that half of them are chevs cause chevs look best customized. What about the medium duty news ? GMC vehicles have the worse cheap looking interior design than any other makes, to include the Cadillac. I went from a Chevy Guy to a Ford Guy because of it! Which are you referring to, in particular? The Sierra/Yukon? The granite is a great idea by GM. I hardly ever give GM compliments do to the fact they can’t design something as simple as a cup holder to hold cups. Not to mention the GM sierra’s cubby hole storage areas, you can’t put anything in. Hopefully, they get the fit and finish right as well on the interior. The Chevy HHR, was a poor built vehicle as far as interior goes. ( I.E. Center shifter chrome popping off, Fuse box cover popping off on the 2008 and newer version,etc…) This Granite almost resembles an HHR. A fuel efficient Half Car, Half Truck would dominate the Compact truck sector. Not to mention, Ford Dropping the Ranger. Not much competition for GM. Tacoma and Frontier are closer to Mid size then compact. The vehicle was hardly a good idea to be a GMC. It should have been a Chevy… and hopefully will be repurposed as such. Any update on the (Full size Van) release? Is it still on track? I hear Ford will be releasing the Transit for the 2013 MY. Will GM be ready to compete? GM will be behind Ford on this… They’re working on bringing/globalizing the utility van offerings with the European vans — but those are still being worked on. Any news on Yukon or Suburban Diesel in 2013???? I don’t think GM will be able to produce enough of those to satisfy the demand once they declare availabilty. Jim — there aren’t any plans to introduce diesels on the full-sized SUVs as far as we know. The’yre not in our product guide either… you sure you mean 2013?